Leaving High Country Harley Davidson at 9:00am the Around The Block Tour is a local favorite. Heading west to Lyons Colorado up the canyon past the towering wonderful 14ers on the way to Estes Park co. where we’ll offer a short stop if needed then into the Rocky Mountain National Park. Rocky Mountain National Park has the highest paved roads in any National Park in the United States. Trail Ridge Road crests at 12,183 feet. With a little luck you’ll find Elk, Moose, Big Horn Sheep and Mile Deer. You’ll also want to keep your eye out for Coyotes and Marmots. We’ll be stopping at the top where you can grab a snack, take a break and see forever. Then it’s down down down to Grand Lake for lunch at either the Grand Lake Lodge or the Sagebrush BBQ & Grill. The Grand Lake Lodge has a wonderful view of the lake with a rustic atmosphere. The Sagebrush is also a rustic place with a variety of lunch choices from wild game burgers and sausage to BBQ meats and for the daring the famous Rocky Mountain Oysters. On the shores of the state’s largest natural lake you’ll stroll down the historic boardwalk with over 60 shops, restaurants, and galleries. After lunch it’s on to the Granby for a fuel stop and then to Winter Park. Winter Park at 9,000 feet is part of Colorado Ski Country USA. Now it’s up and over Berthoud Pass at 11,307 ft./3446 m to Empire Co. for a short stop and then down to Central City where “if you are 21” you can try your luck playing the gambling machines at Dostal Alley Casino & Brew Pub. Central City is a historic mining settlement founded in 1859 during the Pike’s Peak Gold Rush and came to be known as the “Richest Square Mile on Earth”. On May 6, 1859, during the Pike’s Peak Gold Rush, a gold-bearing vein was found between Black Hawk and Central City. Within two months many other veins were discovered, by 1860, as many as 10,000 prospectors had flocked to the town. The year 1863 brought the first attempt by hard rock miners to form a hard rock miners’ union. Of 125 miners signing a union resolution in Central City, about fifty broke windows and doors at the Bob Tail mine, forcing other workers out. After a night of shooting and fighting, the union effort among Central City miners failed. Gold mining in the Central City district decreased rapidly between 1900 to 1920, as the veins were exhausted. The frontier gambler Poker Alice lived for a time in Central City. Now it’s time to cash in and hit the road on the Peak to Peak highway passing Rolinsville and Nederland for our next stop at the Millsite Inn located in Ward CO. 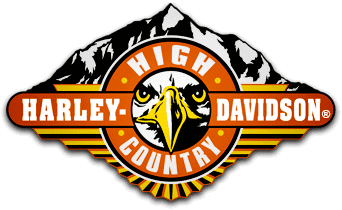 Finally, back down the canyon and to High Country Harley Davidson. Pricing for The Around the Block one-day tour starts at $175.00. Call 1-720-284-8323 or e-mail Info@atime2ride.com for pricing and availability.